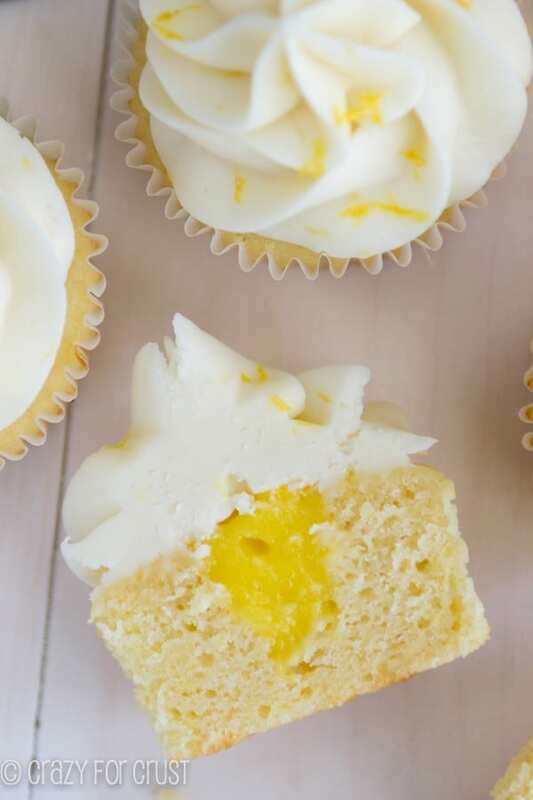 These lemon cupcakes are not for the lemon faint of heart. 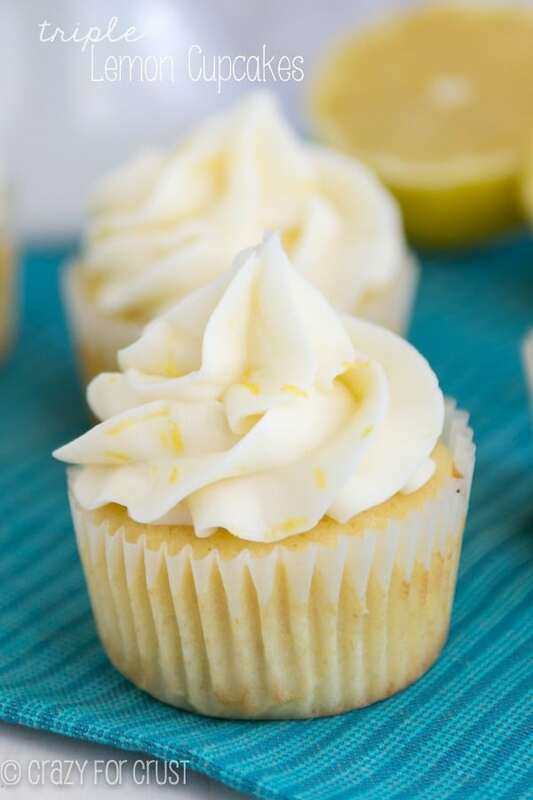 They’re the perfect lemon cupcake with triple the lemon flavor. It’s like lemon smacks you in the face in every single bite! It’s no secret that I love lemon. Sometimes I crave it so fiercely I find myself in the kitchen baking up a storm. This recipe? Is a product of that. I think you’ll be glad for my fierce craving. These lemon cupcakes are the best lemon dessert I’ve made. Ever. They’re also the best lemon cupcakes I’ve ever had. I’m still working myself through those bags of lemons my MIL gave me and after I made Glory’s lemon curd for my No-Bake Lemon Dessert last week, I made more. Because you can never have enough lemon curd. So I had a jar of lemon curd in my refrigerator and was trying to decide how not to eat it with a spoon when I got an email from a reader. She’s local and used to be a neighbor of mine. Her elementary school was doing a fundraiser dinner and instead of buying dessert they were auctioning off table desserts. She asked if I’d donate two and of course, I said yes. Hey, it’s an excuse to bake more. And, besides being a good cause, it gets the dessert out of my house. Anyway, the lemon curd was calling my name and all of a sudden I needed a lemon cupcake. Now, pretty much everyone I know has a lemon cupcake. Averie, Sally, Aimee, Christi, and Stephanie all have amazing recipes. But I wanted to make my own. Because, well, I’m me. I wanted the lemon in these cupcakes to punch you in the face with flavor. Every. Single. Bite. needed lemon. So I made these triple lemon cupcakes. With three times the lemon! The cake is based on my Perfect Vanilla Cupcake recipe (which later turned into my Perfect Funfetti Cupcake recipe). 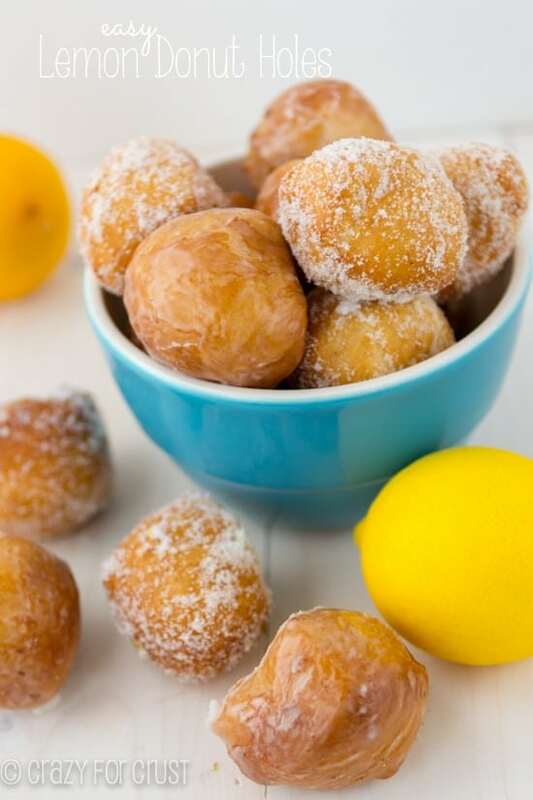 I substituted whole milk for the buttermilk and added fresh lemon juice and zest to the batter. You need about 1 large lemon (mine were pretty big and juicy, so depending on the haul at your grocery store, you might need two). The cupcakes make the oven smell amazing, which is how you know you added enough lemon. Once the cupcakes are cooled, you fill the center with lemon curd. I simply cut out a small section of the cupcake (a circle about the size of a dime) and spoon some curd in the hole. I used a from scratch lemon curd, but you can use jarred. They sell it near the jams and jellies at the grocery store. Then you frost the cupcakes with lemon buttercream. 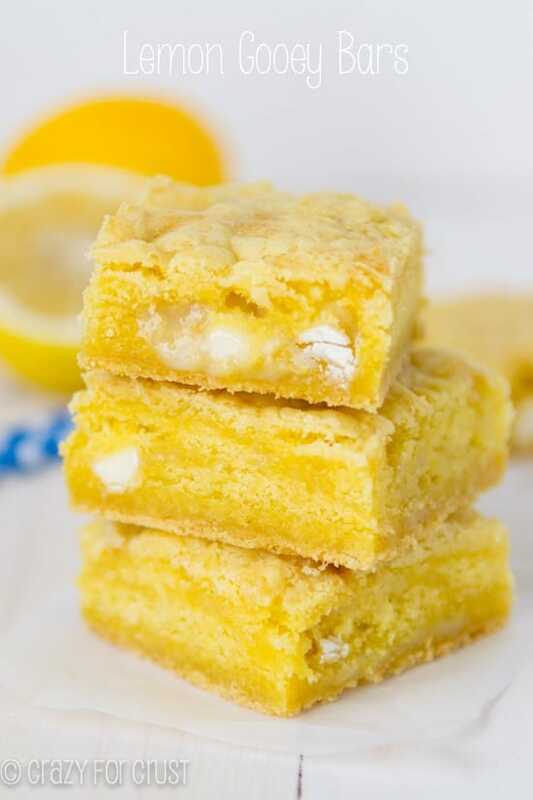 Instead of vanilla, you add fresh lemon juice and lots of zest to the butter and powdered sugar. 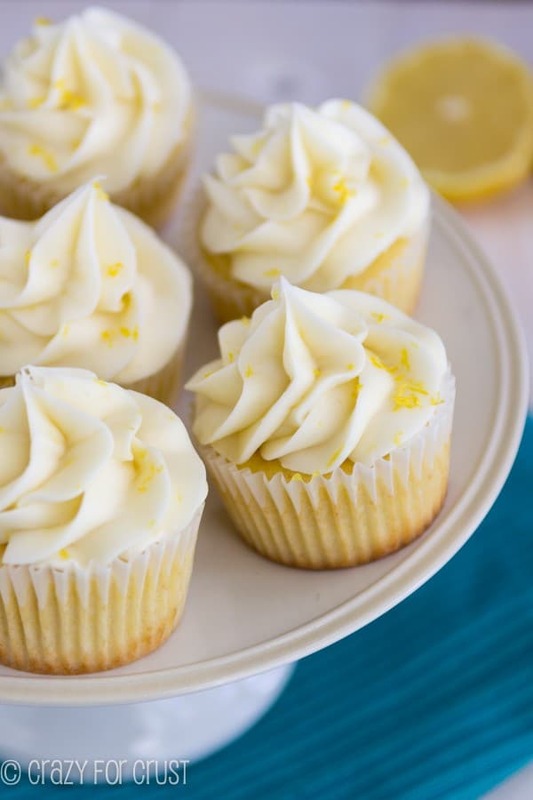 This lemon frosting is super lemony – perfect for an in-your-face lemon cupcake. Note: you can make the frosting up to two days ahead of time and store in an airtight container in the refrigerator. Just let it come to room temperature before frosting the cupcakes. There you have them: triple lemon cupcakes. They’re perfect. And they scream lemon…in every bite! 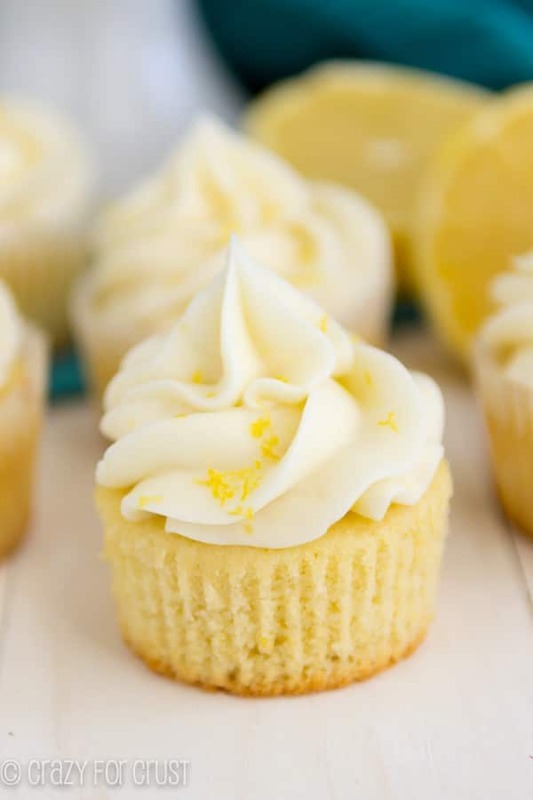 These Lemon Cupcakes are perfect! They have triple the lemon flavor with lemon in the cupcake and the frosting, and they're filled with lemon curd. The perfect cupcake to bring sunshine to any day! Preheat oven to 350 degrees. Line cupcake tins with liners (makes 15-16). Add melted butter to a large bowl and mix in sugar with a hand mixer for 30 seconds, until thick and yellow. Add eggs one at at time, beating after each addition. Beat in vanilla extract, lemon juice, and zest. Add the flour mixture and milk alternately, starting and ending with the flour. Don’t over mix! Divide batter among liners, filling 2/3 full (about 1/4 cup of batter per cupcake). Bake for 13-18 minutes until a toothpick comes out clean. (Mine took about 14 minutes.) Cool completely before frosting. To fill: cut out a small bit of the top/center of the cupcake. (Cut a hole that’s about the size of a dime and the amount of cupcake you take out is a little larger than a marble.) Fill each hole with about 1/2 - 1 tablespoon of lemon curd. Frost cupcakes by placing frosting in a pastry bag. I like the 1M tip, it gives pretty swirls. Add extra lemon zest for decoration, if desired. 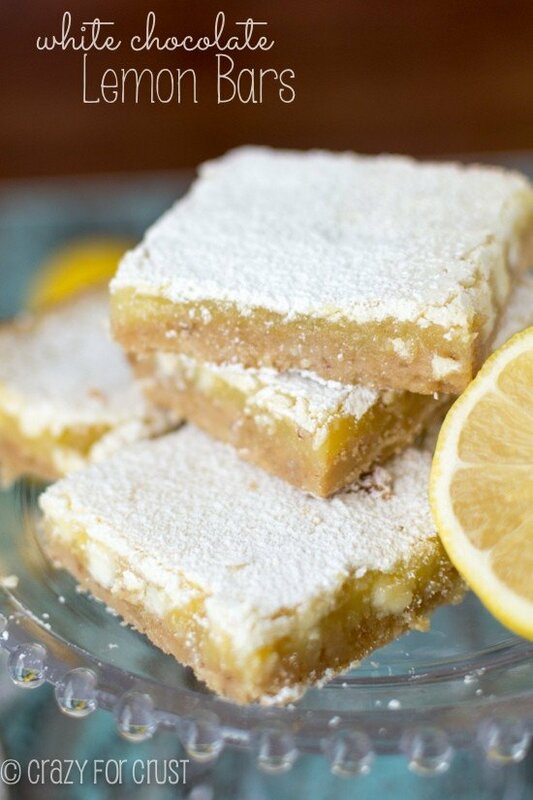 Check out my collection of over 140 lemon recipes for more lemon ideas! Or visit my Crazy for Lemon pinboard! The recipe calls for 1/4 cup lemon juice but also says it is the same as the juice from about half a large lemon. What should it be? Hi, May I know how many calories is it per serving? Made these for my mom for Mother’s Day as she’s a huge lemon fanatic. She LOVED them as did everyone else there. The cake and icing were so light,fluffy and had a ton of lemon flavour without being overbearing. How do you make the frosting?? I am excited to make! I have not made yet and plan to for Easter cookout. Do these need to be refridgerated when not being served? For example, can I make at home (and refrigerate if needed) then take to cookout where they can be on table for a couple of hours (more) before serving. Or can they simply be in the air conditioned house for serving. My host will have no room in the fridge. Thanks for any response.